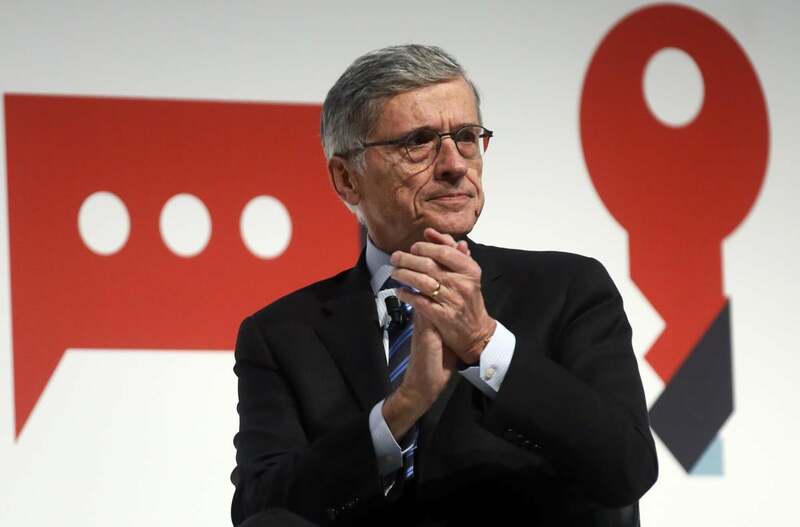 BARCELONA -- FCC Chairman Tom Wheeler on Tuesday defended the commission's recent vote in support of net neutrality, saying it isn't regulation as some critics contend it is, but instead sets up the Federal Communication Commission as a kind of referee. "If the Internet is the most powerful pervasive platform in the history of the planet, can it exist without a referee?" Wheeler said. "There needs to be a referee with a yardstick ... isn't that something that makes sense? It's not a regulatory structure but a structure that says Internet activity should be 'just and reasonable' and with somebody to throw a flag when they aren't." Wheeler spoke during an onstage appearance at Mobile World Congress and was interviewed by Anne Bouverot, director general of the MWC's governing organization, GSMA. Bouverot asked Wheeler to explain some of the arcane points of the Federal Communications Commission vote on net neutrality for the international audience. For one, she wondered how Title II of the Communications Act of 1934 became a central tenant of the vote by reclassifying Internet broadband providers as a type of utility. Wheeler said that the FCC actually modernized Title II and relied on that portion of the 1934 law because it was used to regulate wireless carriers more than a decade ago. "We didn't go off half-cocked, we said, 'let's find a model that works,'" Wheeler said. At one point, he said that Title II in the original law has 48 sections, of which 19 sections weren't used to regulate the wireless industry in 1993. With net neutrality, the FCC didn't use 27 of the 48 sections to oversee broadband Internet providers --both wired and wireless. "We are being less regulatory" than with the wireless industry, he said. "We built a model for net neutrality that has been wildly successful for mobile," Wheeler explained. "We took Title II and modernized it...In 1993, the wireless industry asked the FCC to regulate them as a common carrier but to forebear all the monopoly-era regulations, and that is what has resulted in $300 billion in investments, which has been wildly successful." At the center of Title II is a standard of making rulings, when needed, with the "just and reasonable" yardstick. "Our goal is to specifically not impose restrictions or order on how [the Internet] should work," Wheeler said. "We want operators to be as innovative as possible and to have a revenue stream that is unchanged. It's with that revenue stream that they will build the networks of the future." Bouverot asked how Wheeler changed his thinking to using Title II from his earlier position to defend net neutrality by using Section 706 of the Telecommunications Act of 1996. He answered that Section 706 allows "commercially reasonable" activities, but that many innovators and investors challenged him as to whether commercially reasonable meant what is reasonable for network providers rather than for consumers. Wheeler, a former chairman of the CTIA wireless association in the U.S. in the early 1990s, said he worked in that job when the mobile industry asked for Title II rules. "Suddenly over [last] summer—bam! I realized I've been here before and it's Title II. " In its controversial decision, the commission voted 3-2 to reclassify broadband as a regulated public utility and to prohibit broadband providers from selectively blocking or slowing Web traffic and from offering paid services to prioritize Web traffic. Many critics of the FCC's action have said Wheeler picked the Title II approach at the behest of President Obama. Wheeler, a Democrat, was appointed to the FCC by Obama . Repeating a comment he made at the Feb. 26 meeting when the FCC voted to support net neutrality, Wheeler said, "Let's be real clear: This is no more regulating the Internet than the First Amendment regulates free speech. This is not regulating; regulation is tariffing and rate regulation.... We're for an open Internet and that's not regulation of the Internet. No government or private entity will block the Internet as a vehicle of fee expression." Carrier executives attending MWC steered away from commenting on the FCC's net neutrality vote, including AT&T Mobility CEO Glenn Lurie. Noting that the official rules voted on by the FCC won't be published for weeks and only a summary has been made official, Lurie said in an interview, "Let's see the rules before we comment. It's hard to tell what they mean." Like Verizon and other carriers, Lurie said AT&T is already devoted to the principles of net neutrality. "We've always supported net neutrality. The U.S. is leading the world in every aspect of the Internet. The world views us as a leader and a role model." Does net neutrality really mean 'net regulation?